Bit late on the bandwagon but wanted to proclaim my love for collar-necklaces! 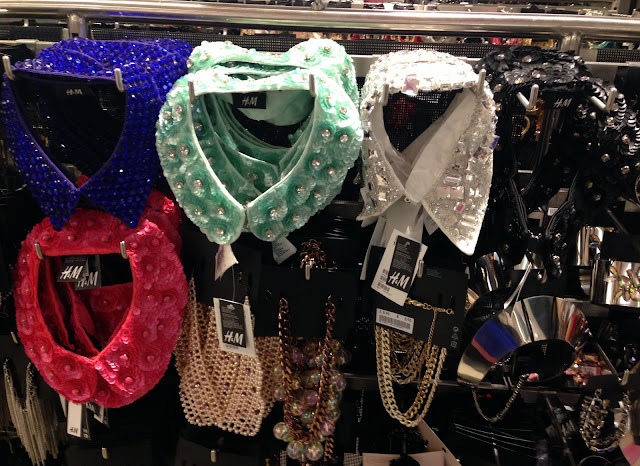 Above is a sneaky shot I took in H&M recently as I wanted to share with you the gorgeous collar choices that are currently in the shop. 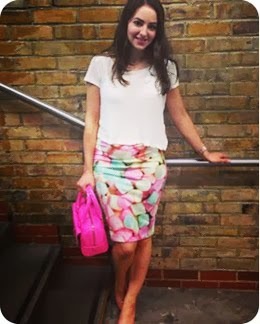 Paired over a simple t-shirt or jumper, it's a great way to jazz up an outfit with no effort. There are so many different styles and options currently available on the high street right now, what one would you pick? 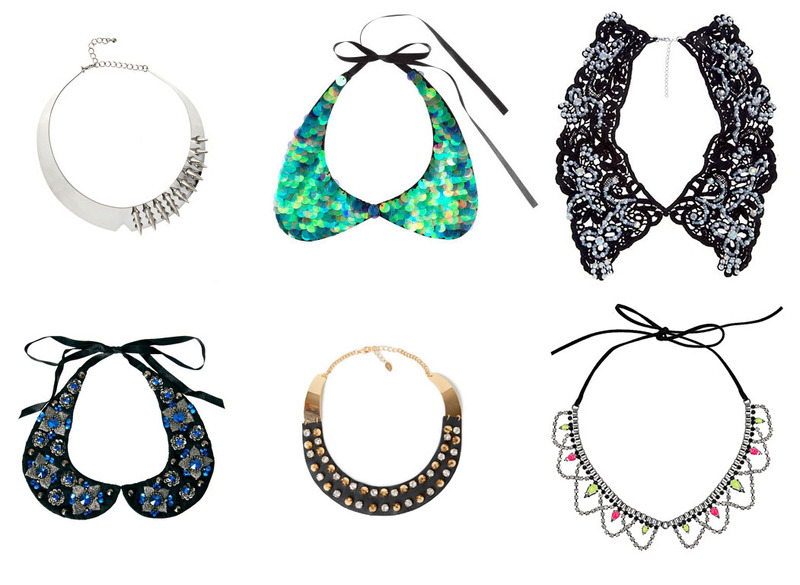 I'd love to own a collar necklace! I think they're a great way to wear the collar trend without looking overly school-girly :) The Topshop neon one looks very cool.